Bananas are not only the most popular fruit in the United States, but the entire world! In fact, over 100 billion bananas are consumed worldwide each year. 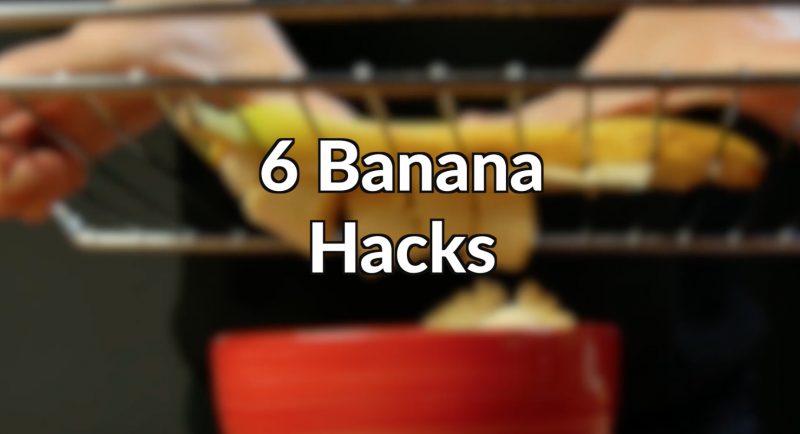 A large reason why the banana is so beloved is because of how versatile it is — here we'll show 6 useful tips and tricks to get the most out of the amazing fruit. 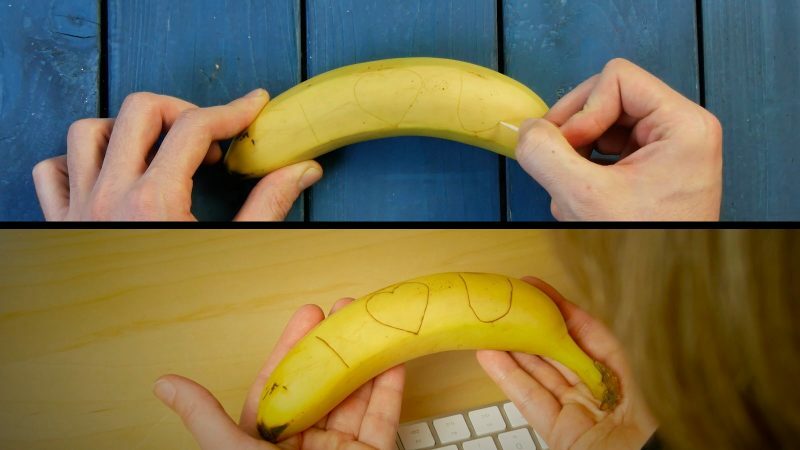 Leave your loved one a message by carving it directly into a banana peel with a toothpick. Do it first thing in the morning before you pack their lunch, and by early afternoon, they'll have a healthy treat and a special note waiting for them. Preheat the oven to 350°F. Mash the bananas in a bowl, add the rest of the ingredients, and stir everything together until smooth. 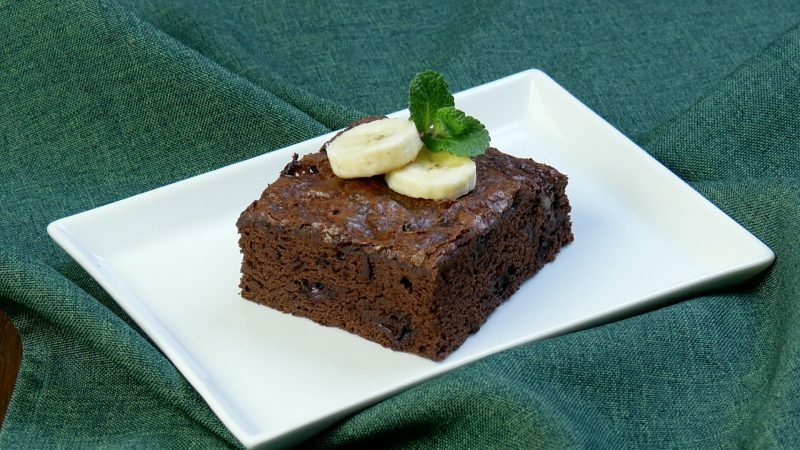 Grease a sheet pan with vegan cooking spray or coconut oil and spread the brownie batter on the pan. Bake 25–30 minutes or until completely cooked through. 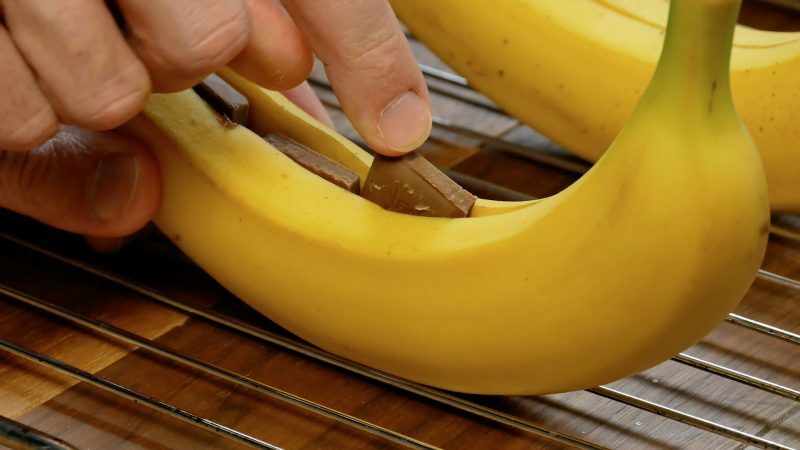 3.1 Cut the banana lengthwise with a knife and stick a few pieces of chocolate inside. 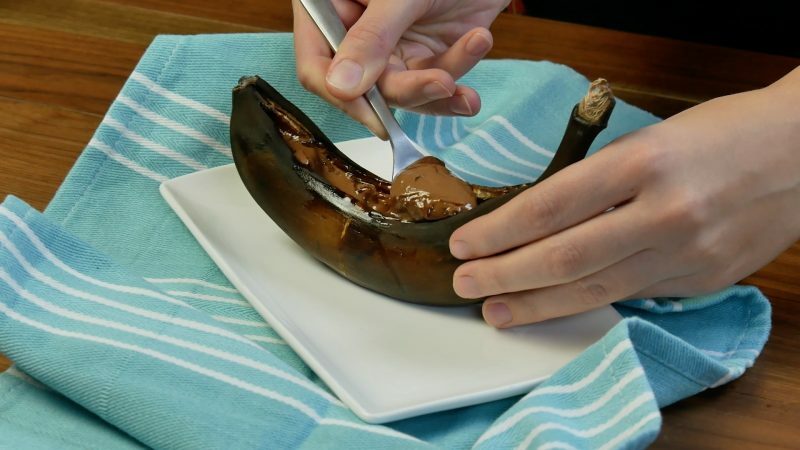 3.2 Bake the stuffed fruit for 25 to 30 minutes at 350°F for a chocolate banana dessert. 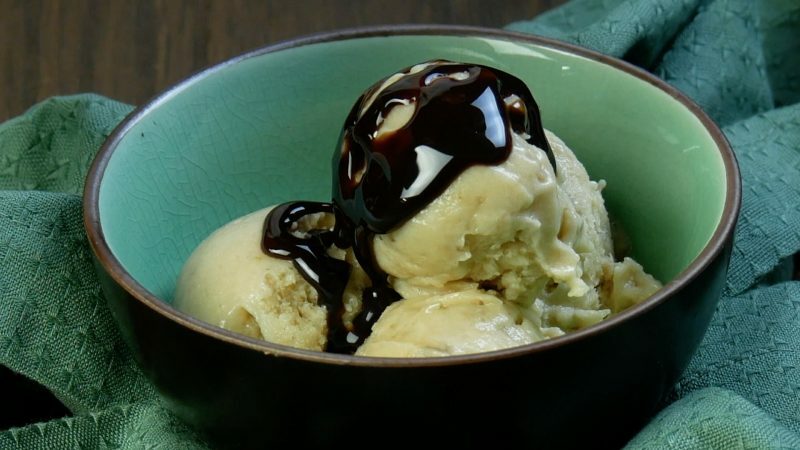 Slice three bananas, freeze them, and purée them to make a fruity dairy-free banana ice cream. 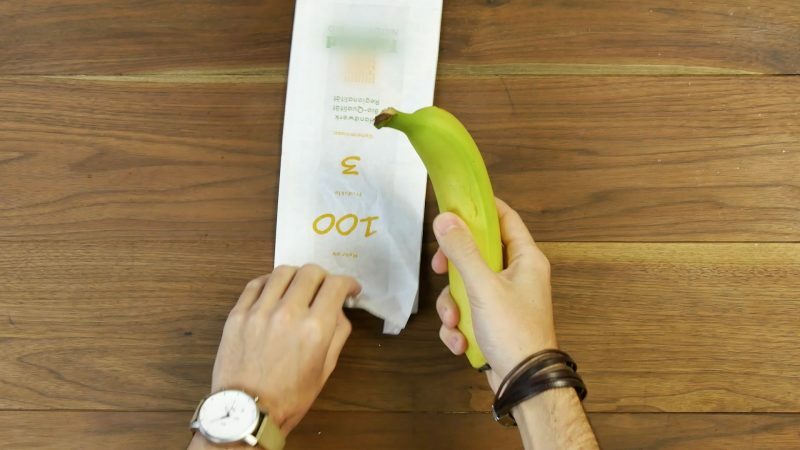 Speed ​​up the ripening process of a banana by storing it in a paper bag and leaving it for one day — it's really that simple! 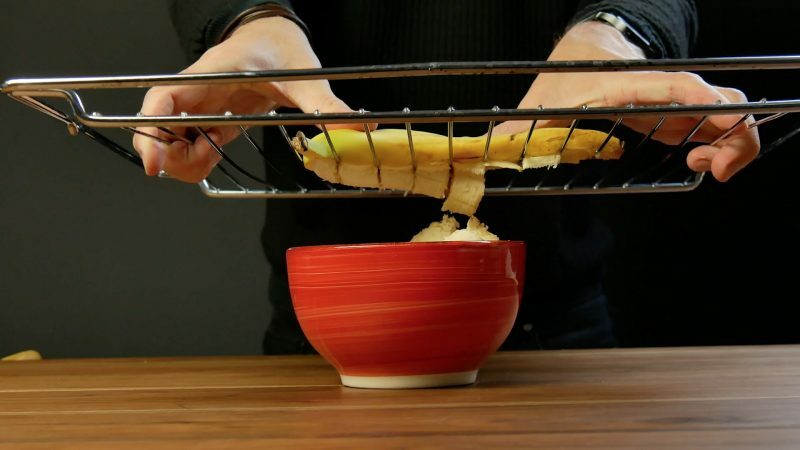 Instead of cutting each banana slice individually, you can slice an entire banana at once by pushing it through a food rack. Make sure to put a bowl underneath to catch the tasty slices! If you can't get enough of the yellow fruit, be sure to check out these 10 alternative uses for bananas, and while you're at it, try out these 11 sweet banana recipes for the ultimate dessert.